All Comments to Corbin 39 Owners Group's Photos | Fotki.com, photo and video sharing made easy. Tangaroa will soon, once again, taste the waters of the Pacific . I wish you safe, long and happy cruising aboard Tangaroa. not sure how to get in touch. boat is in Vallejo California. and at marina. contact harbormaster for contact info with owner. Vallejo ca. municipal docks. 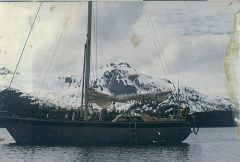 original owner took boat up to Alaska on way back from new Zealand. boat is currently for sale and is at Vallejo marina. California. price is now 55k and new owner has upgraded the essentials. rig. sales. engine. same interior needs an update. email mailto: for info . I would llike to list boat for sale 55k and enter my email address so people can contact me direct. brokers are not good here. vince.